As with any vector art program, you need to be comfortable with creating and manipulating Bézier curves. In Affinity Designer, the pen and node tools are the way to do that. Bézier curves are used in vector art programs like Affinity Designer and Adobe Illustrator to model smooth curves. There are no control points here, since we don’t need any. Let’s look at an actual curve. There’s a ton of math involved, but you don’t need to know the equations to create the curves you want. Sharp nodes are either the end of a line or have a sharp angle. The nodes themselves are shown as squares. The node on the bottom is a sharp node, even though it has two control points that create two curves. Since those curves don’t join in a smooth swoop, but rather at an angle, the node is a sharp node. 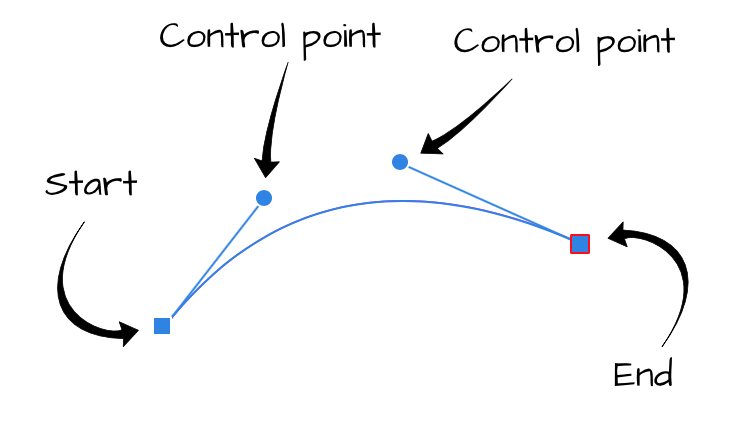 Essentially, any time the two control points aren’t joined by a straight line, you have a sharp node. Here’s an example of a sharp node (on top) and a smooth node (on bottom). As you can see, the control points of a smooth node are joined by a single straight line. Smooth nodes are represented by circles. Smart nodes are simply smooth nodes where Affinity Designer controls how they look instead of you. They’re represented by a circle with a dot in them. 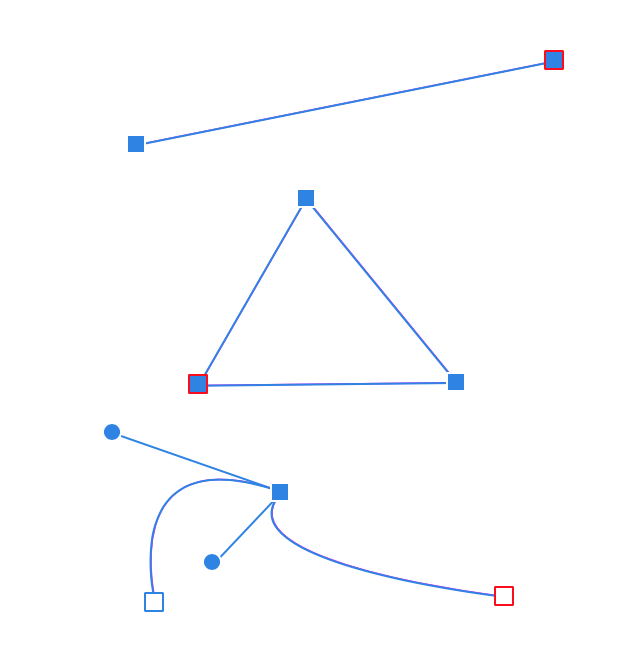 In the animation below, a user creates several points and Affinity Designer draws curves between them using smart nodes. We’ll look more at smart nodes later. Use the pen tool to create curves and to transform sharp nodes into smooth nodes. To start using the pen tool, either select the icon from the toolbar or press P.
Move the cursor to your document, and you’ll see the pen icon with a little “x” below it. That “x” tells you that you’re about to create a new curve. While there’s nothing curvy about this shape, it’s still known as a “curve” in the vector art world. The node with the red square is where the next line will be drawn from. As you click around, the red square follows you. To close a curve, click on the first node you created. When you hover over that node, a little circle will appear beneath the pen. That circle tells you that you’re about to close the curve. You can also create a curve with all sharp nodes, and change those to smooth nodes with the pen tool. When you hover over a node that’s part of a closed curve, you’ll see a little slash appear beneath the pen icon. If you want to change a node from being smooth to sharp, i.e., removing its control points, you can option-click ⌥-click on a node. So far, we’ve been using the Pen Mode, which means we can create both sharp and smooth points. In Smart Mode, Affinity Designer decides how smooth your curves should be. Smart nodes are circles with little dots in them. You saw these earlier in the article. Next to smart mode is polygon mode. In polygon mode, you can only create sharp nodes. No smooth curves in polygon mode. When you create a curve in pen mode, clicking and dragging will create a smooth node. but in polygon mode, clicking and dragging simply moves a sharp node around. In line mode, you can’t create a closed curve; only lines. You can create lines by both clicking and dragging, or by clicking twice (once for each end point). Notice that it’s impossible to create a closed curve in line mode. After you create the end point, the pen becomes ready to draw a new line. 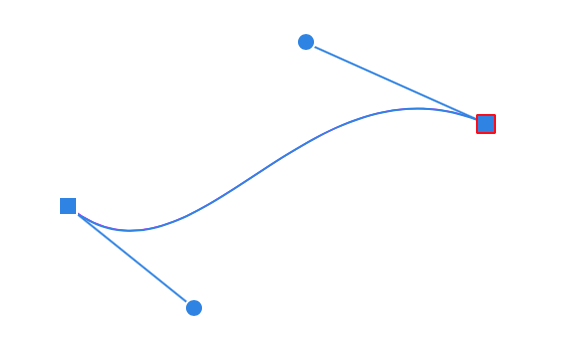 Once you’ve created your curve with the pen tool, it’s time to fine-tune it with the node tool. You’ll find the node tool icon on the toolbar, right underneath the Move tool. You can also just press A. 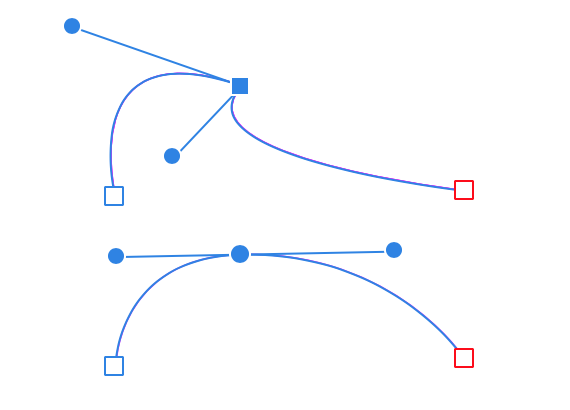 There are several ways to select nodes on a curve. Hover over a node. You’ll see the cursor change from a white arrow to a black arrow. Then click, and you’ve selected that node. Often, you’ll want to manipulate more than one node at a time. To add nodes one at a time, hold down the shift key when you click (⇧ - click). To select a number of nodes at once, draw a rectangle around them. 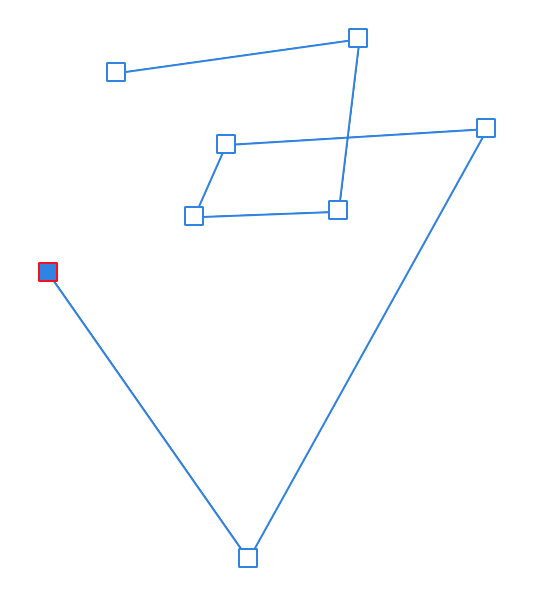 To deselect nodes, hold down the control key (⌃) and draw a rectangle around the nodes you want to deselect. Once your nodes are selected, you can move them with the mouse or the arrow keys. You can also shift-click (⇧-click) to select multiple nodes at once. To add a node to an existing curve, just click on that line with the node tool. Affinity Designer can a great feature that lets you easily create a curved line from a straight one. It doesn’t give you a ton of control, but I’ve found it to be quite handy. Place the node tool over a straight part of a curve. You’ll be a little squiggle underneath the tool icon. Click and hold, and create a curve. To adjust control points, click on a node and move the control points that appear. For smooth points, if you change the angle, this will move both points. However, if you just make the line shorter or longer, the other point won’t be affected. But what if you want to move only one of the control points, not both at the same time? In that case, hold down the option key (⌥) when you select a control point. You can also constrain your control points by holding down the shift key (⇧) when you move them. If you’ve decided that smooth curve just isn’t working, you can turn a smooth node into a sharp one without any control points. Simply option-click (⌥ - click) the smooth node. To delete a node, simply select it and press delete. Congratulations! You now have all you need to know about the mechanics of the pen and node tools in Affinity Designer. Go forth and make great art. shortcutFoo helps you become more productive with the tools you use everyday. Create a free account today!